5 String Bass Guitar Heaven! If you are looking for excellent tone and versatility, look no further than Ibanez SR305 5-string Bass Guitar. It is one of the most excellent bass guitars of its class in the world. It is sleek and sturdy, with a narrow neck and a downsized body. The feel and playability of this guitar are so exceptional that beginners will feel like professional musicians in no time. In this review, we reveal many of the unique features that make it one of our favorite models. So, pull your socks up, and keep reading. Why do we love this guitar? There are many reasons! First, it is from the Ibanez Company, a top name in the guitar industry. They have earned their reputation over the past forty years and have become a famous line for budget-conscious players. No one can dispute the fact that the manufacturers of Ibanez offer some of the best models in all segments of the market. Of all the basses we played, Ibanez basses have a unique vibe and feel like no other. In particular, the SR series has perfect matched electronics that provide high-quality sound while eliminating unwanted noise. It excites with a modern design and a lightweight body. Since 1987, many design trends have come and gone. However, the Ibanez SR305, with its five strings and narrow neck design, continues to exceed expectation. Ibanez strives to upgrade it models with pro features that rise heads and shoulders above their competitors. It’s not just innovative; its performance is musically exhilarating. Here are some of the million-dollar features of the Ibanez SR305 that demonstrate why it’s one of the hottest-selling products on the market, and why bass players opt for it time and time again. Ibanez SR305 comes with a solid, double-cut body made of Agathis. It has a 5-piece maple/rosewood neck, with a 24 fret rosewood fingerboard. Ibanez manufacturers carved its top side according to its series signature. For that reason, it has no decoration, which complements its overall novel design. Apart from this, unlike many other 5-string basses, it does not have a top wood cover. It is one of the sexiest basses! Its metallic gloss finish is its ‘Wow’ factor. It looks awesome! Very slick! The overall paint is flawless, and the chrome is bright, injecting an utterly professional look. Furthermore, the thin and curvy lines of this model make it feel great in your hands. 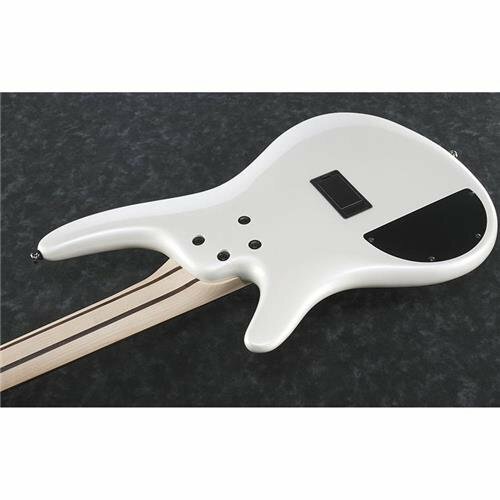 Ibanez company deliberately introduced a delicate balance between brightness and warmth, so that versatile professional players opting for it can merge it into their unique style. The smooth body and comfortable neck are specifically designed to facilitate any player’s style. It doesn’t matter whether your style is Rock or Folk, you will feel like it has been created only for you and that you have been playing it all your life. This 5-string model’s overall profile is still slender and lightweight. Therefore, each of the 24-frets of this model is comfortable to reach. Just like other professional basses, Ibanez also introduced dot position inlays to suit your specific techniques. You will find lots of tone adjustments that assist in producing fantastic sound. The more you experiment with the tones, the more you fall in love with it. It is punchy with a right amount of bass. You can adjust it based on the technic you are using; i.e., tapping, slapping, or playing fingerstyle. Though it is created for big stages under the spotlight, because of its sound versatility and quality, people are using it to play Gospel music in their churches. If you are a Jazz, Rock, or R&B player, all you need to do is to turn the style sweeper towards the left. If you are more into the ‘slap’ mode, turn it towards the right. The body of the Ibanez SR305 is equipped with an accu-cast B125 bridge. This premium feature offers optimum intonation and tension. Manufacturers used two PowerSpan Dual Coil pickups in the neck and bridge positions to give your tone incredible power and sustain. This is just the tip of the iceberg when it comes to its sensitive electronics and premium hardware. 3-band EQ controls provide a vast range of controls. From a punchier sound to distinctive low-end rumble, the possibilities are endless. Overall, each of the features of the Ibanez SR305 5-string Bass is exceptional. 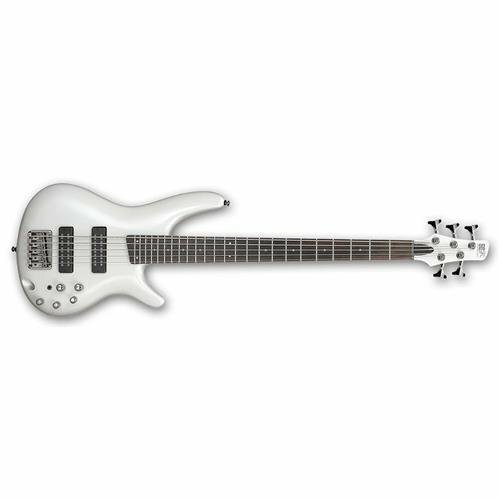 The Ibanez SR305 5-string bass is cost effective making it affordable for the beginner. However, don’t think it’s a cheap starter instrument, because of its economical price. It is easy on the pocket, but it gives you a great overall sound for whatever style of music you play. If Sharlee D’Angelo (Arch Enemy), Mike D’Antonio (Killswitch Engage), and Paul Romanko (Shadows Fall) are opting for Ibanez basses, it has features greater than your expectations. You can count on it with utter confidence. As you see, Ibanez manufacturers go to great lengths to give you the very best bass guitar experience. Moreover, the Ibanez SR305 is one of the most excellent examples. In this model, Ibanez determined to accommodate the broad needs of a variety of players, on a range of budgets. That’s why it has earned immense respect and popularity worldwide. We are delighted with this bass. Though we bought it for playing Rock and metal, we soon discovered how incredibly versatile it is. 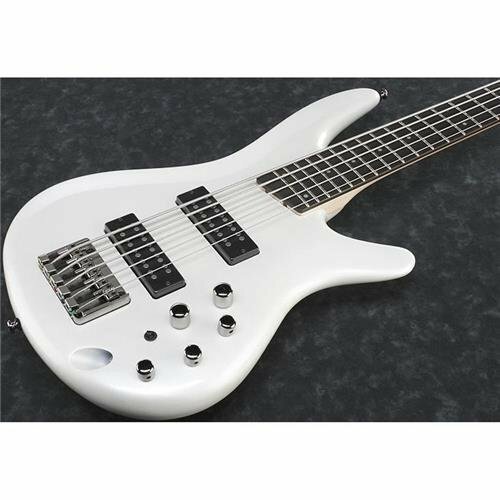 Ibanez SR305 5-string Bass manufacturers improved the sound gear basses significantly. Even professional and serious musicians find dominant bass frequencies in it for their tracks. According to them, it produces some of the most impressive bass frequencies setting this model apart from anything else on the market. Also, its 3-band EQ, volume, balance, mid selector, and bypass switch transform it into a top-notch, gorgeous instrument. All in all, if you are planning to buy a fantastic bass guitar, we highly recommend it. What Is The Best Price For The SR305 Online?